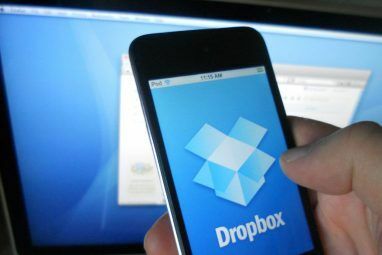 There is no end to just how useful Dropbox is, and it’s no secret how much all of us here at MakeUseOf love the service they provide. You’d think it couldn’t get much better than keeping all of your files synced to several computers, backed up on the cloud, and working quietly in the background making sure that every new file you save to your Dropbox folder is synced in real time. But it does. Thanks to some interesting Dropbox settings, along with some great third party services that have been built on Dropbox, there are several creative and unique ways you can use Dropbox to do more than just sync your files. Whether you want to take your favourite music with you on the go, listening to it no matter where you are, whether you want a quick and easy way to create a gallery of photos, or even if you want to build an entire website using Dropbox to host it, they’ve got you covered. While you can play audio files saved in your Dropbox folders, the native interface leaves a lot to be desired. You have to click one song at a time and play them individually, and the audio player displays little else than the a pause/play button and a volume button. DropTunes turns folders of MP3s into playlists. Access DropTunes from any browser by granting the app access to your Dropbox folder, logging in directly through their web interface. Once logged in, you can then navigate through the folders, find your MP3 files, and enjoy listening to the music on your computer no matter where you are. Any given folder of audio files, when accessed from the DropTunes interface, will be displayed as a playlist with a built in music player. Of course for those of you with free Dropbox accounts, you might not have much music saved in your online accounts, but it’s a good way to at least take your absolute favourite tracks with you on the go. 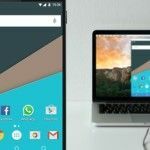 Chrome users can install the DropTunes extension, although in essence, all it does is act as a bookmark, without bringing anything extra to the service. DropTunes has two modes – Flash and HTML5. In Flash mode, only mp3 files can be played, whereas in HTML5 mode, file support extends to m4a, ogg, and wav files. It is also worth mentioning that DropTunes asks you to enter your email and password directly into their service, so if you use Dropbox for personal or private files, you may want to think twice about using this service. Without the need for any third party sites or apps, you can use Dropbox as a way to display your photos in a portfolio or gallery. Simply right click the folder containing the photos and click Dropbox > Get shareable link. The gallery of photos will be opened in the Dropbox web interface, displaying the images as a grid of thumbnails. When opened, the photos are displayed in a lightbox, and viewers can play a slideshow of the photos. Of course it is worth bearing in mind that by giving people access to photos in your Dropbox folder, they can also download the original JPG file. If you’re not a fan of how Dropbox displays the images, Views.fm offers an alternative design. After signing up for a f ree Views.fm account, you can then grant the website access to your Dropbox folder, in order to share public or private links to your subfolders. When sharing a folder, you can enter one word that is added to the URL to identify it. 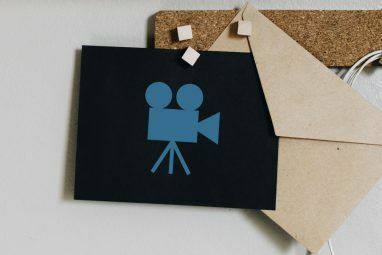 Images are displayed as a grid of thumbnails. Opening individual images displays them in a white frame. 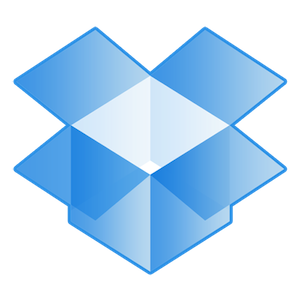 As with Dropbox itself, images can easily be downloaded from the folder by anyone who has access to the folder. With the unbelievable variety of things you can do with Dropbox, why not add creating a website to that list? With the free service DropPages you can do just that. There are two website themes to choose from on DropPages -Basic, a white minimalist theme, and Oceanmist, a tabbed blue theme. After choosing your theme, extract the zipped theme into your Dropbox folder, and rename the folder to the address of your site. With the free option, you can choose your sub-domain, but it has to end with droppages.com. Upgrading to a paid account means that for £5 a month you can use your own domain, and get an additional 1GB worth of space. The next step is to share the folder with DropPages, using the standard Dropbox share feature, send the invite to the address, server1@droppages.com. In a short while, if you visit your page you will find the demo site in place with DropPages’ dummy text. The great thing about DropPages is that it doesn’t require any technical knowledge whatsoever to get it up and running. You can edit the text files in your Dropbox folder to add in your own information. As you make your changes, the files are automatically synced with Dropbox, and you always have a local backup of your site on your computer. Can you think of any creative, unique uses for Dropbox? Let us know in the comments. Explore more about: Cloud Storage, Dropbox, Photo Album. I love using Droppages; I help host a s free site with the service for my non-profit youth group and it works amazingly! If you don't have a Dropbox account you can use my reference link http://db.tt/FoBkhih Remember that if you're a student, you get twice as much storage for each referral, up to 16 GB, when you have a ".edu" account! It's amazing all the uses for dropbox. I thought it was just a file sharing service, but I think I'll spend some more time to delve into it now to discover these additional features. Thanks for sharing this cool info about Dropbox! Nothing really new mentioned here, but Dropbox is so amazingly useful - mention it every chance you have! I'm not seeing anything that's better, new or special about these. Another great online service. However, since AT&T will soon be capping data on my dsl account, cost will make it a pass for me. Businesses which continue to create new and useful approaches for storing and accessing data need to realize that AT&T's greed will soon be affecting their bottom lines. Unfortunately, there is no other dsl provider in my area. I am just getting started using Dropbox. I had no idea of all the things that you can do with it. Is the 3rd party site safe enough? Like the usage, but worry about the data security. Had no idea about the photo gallery. That's awesome. it really rocks, i'm upgrading from a free account next week! Dropbox for iPhone make things much more cooler as well! Interesting post - Droptunes does make it easier but your method makes it much more flexible. Thanks for the tip. Love dropbox! Is the photo slideshow only available in the paid version? Nope - the slideshow is available in both free and paid accounts.